Stage 1 is the egg on a leaf. Stage 2 is the caterpillar; that’s the larva. Eating that leaf and growing ever larger! Stage 4 … Here comes the butterfly! Oh so beautiful and so bright! Let us think of Caribbean people as the butterfly. They adapt to the challenges of their environment and emerge from their cocoons as beautiful specimens of humanity. 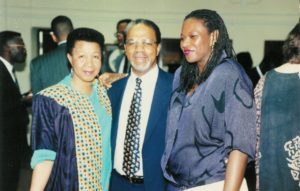 With this picture in mind, let us reflect on the admirable changes and contributions of the Caribbean people to this community, indeed to the Canadian society. 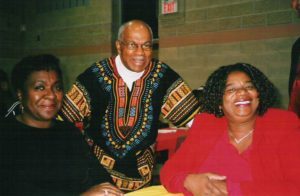 What are some of the significant achievements and contributions of Caribbean Canadian Association of Waterloo Region (CCAWR) since its inception in 1975? Before citing such highlights, it might be interesting to note the forces that contributed to its inception. One was multiculturalism – Prime Minister Pierre Trudeau declared his government’s commitment to the principle of multiculturalism in 1971 and later enshrined this concept in the Canadian Charter of Rights and Freedom. 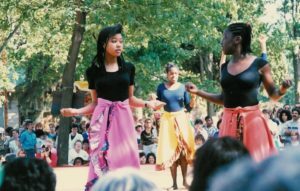 Another was the formation of the Kitchener- Waterloo Multicultural Centre in 1967, which sought to celebrate ethnic diversity. 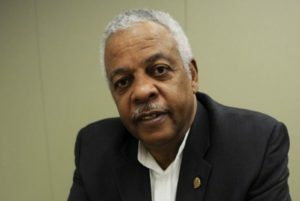 Thirdly, the influence of members of the Black Students Union at the University of Waterloo. The right to promote multiculturalism was thus the order of the day. 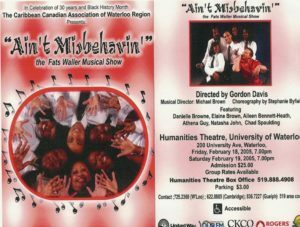 CCAWR, (formerly, Caribbean Canadian Cultural Association – CCCA), is the offspring of a 1974 summer project by Caribbean students of the University of Waterloo. 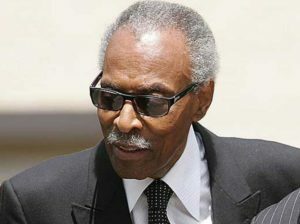 They obtained a grant to set up cultural programs for Black and Caribbean youths. 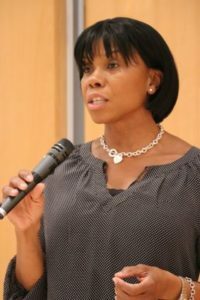 Patricia Moore, Tracy Wilson and Oliver Sampson spearheaded the summer camp attended by the children of local Caribbean families. The overwhelming success of this project underlined the need to continue it. 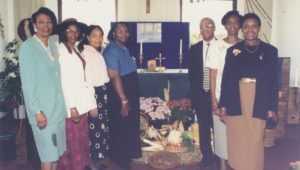 Thus the Association was formed in 1975. The founders were Hilda Fletcher, Chloe Callender and Jello Wickham. What lovely butterflies! Let us salute the past presidents: Hilda & Leonard Fletcher, Wesley Johnson, Philip Craan, Calder Roach, Patricia Tuckett, Bernard Ellis, Jennifer Hayden, Anthony Robinson, Kenneth Grant, Lauris DaCosta, Ivan Muhammed, Ingrid Berkley Brown & Royston Simon. Congratulations to all these past leaders, as well as members of the board of directors who served faithfully with them. This sets the stage for four decades of outstanding achievements and contributions within the Canadian mosaic. What are some highlights? 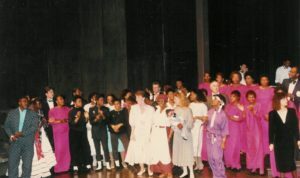 Two events stand out in this decade – the founding of the Association and dance performances. 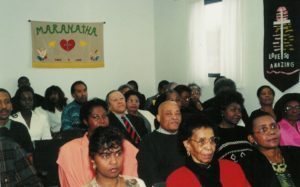 Along with the three founders already named, this is an appropriate time to publicly identify those who were present at the founding meeting in March 1975: Murch Callender, Phillip & Yvette Craan, Calder & Maria Roach, Tony & Althea Cockburn, Karl & Norma McKenzie, Mr & Mrs Linot Thom & Delcina McKenzie. Other industrious members were Noel Barrett, Nathan Harris & Len Tuckett. It should be noted that CAAWR was organized in the same year in which the War in Vietnam ended and the Watergate Scandal occurred in the United States. What a breath of fresh air from the atrocities of the time. Hats off to our youth who strutted through the Seventies with many outstanding dance performances. 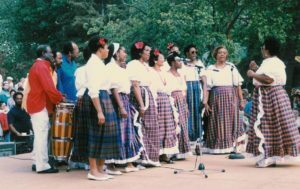 Just picture colorful and elegant Caribbean costumes as they thrill crowds with rhythmic movement at Canada Day Celebrations, Central Ontario and Canadian Exhibitions, Trakenfest and The Centre In The Square. Hats off too to their dedicated mentors. The Seventies was thrilling. Who will be the next heavyweight boxing champion of the World? 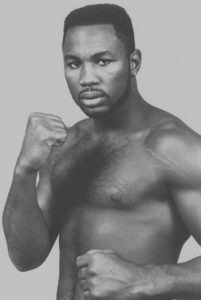 Lennox Lewis, of course. This only happened in 1999 because of his early successes in the eighties. Who can forget the Lennox Lewis Benefit Concert in 1987? 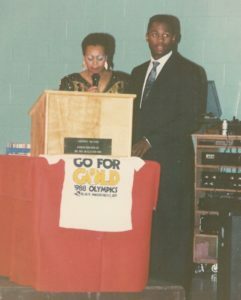 CCAWR’s fundraising concert saw this Kitchener amateur boxer (also a football and basketball weasel at Cameron Heights Collegiate Institute) capture the Olympic gold medal in 1988 in Seoul, Korea. Let the record speak further; this father of four has been inducted into Canada’s Sports Hall of Fame and the International Boxing Hall of Fame. 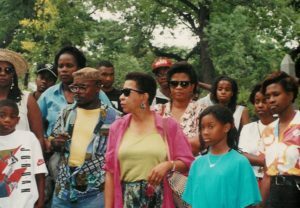 As the world watched the first space shuttle lift off in 1981 and the fall of the Berlin Wall (1989), our region also celebrated pride in Black Awareness that permeated our continent. Thanks to the leadership of Elaine Brown, we basked in the visits of such icons as the Honorable Lincoln Alexander, 34th Lieutenant Governor of Ontario (1985 – 1991); Lily Oddie Munro, Citizenship and Culture Minister; Ontario Minister Alvin Curling; Body Builder Stephen Hayden (Mr Ontario), as well as Songwriter/Performer and Juno award winner Errol Star Francis. The names, Hayden and Francis, are renown in this Region. 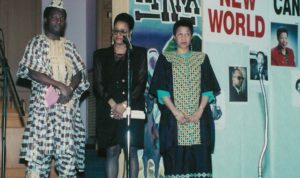 In 1993 Pierre Joanis (Haitian) of Highland Public School, taught a course in Black History, “Living In A Changing World”, at Conestoga College. Mark Seupersaud of Cameron Heights Collegiate also taught a course in Black History. 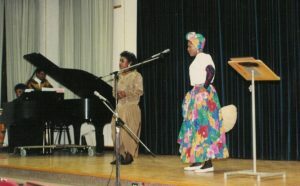 In 1994 Evelyn Myrie, advocate for civic inclusion, the arts and culture, promoted an art show with painting, “Dancing For The Lord” by Bernard Hoyes ( Jamaican) in Cambridge. 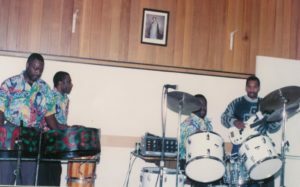 Other celebrations included Interfaith church services, the achievements of 60 residents at Eastwood Collegiate (1993), the Albert McNeil Jubilee Singers at the Centre in the Square, the performance of piano virtuoso child prodigy with the KW Symphony orchestra and a music and drama program at Resurrection High School with Tiki Mercury-Clarke. May it be said of the world community as well, that it celebrated broader freedoms with the release of Nelson Mandela from thirty years of prison in South Africa as well as the dissolution of the Soviet Union. On the world stage, it is difficult to deny the significance of the election of the first African-American leader of the United States of America, President Barack Obama. Similarly, the power of Social Media through the Internet speaks of the power of technology in this century. 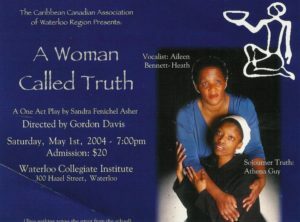 It has moved to foster greater cooperation with various other community groups:a) Partnering with The Congress of Black Women in hosting the Awards of Excellence, an annual event at which both organizations awards post-secondary scholarships to deserving youths of the heritage community.b) Working with the African Women Alliance, The African Canadian Association of Waterloo Region & Area and the Congress of Black Women to birth and provide initial support for The Coalition for the Success of African-Caribbean Youths, an organization geared towards the addressing of needs of at-risk youths in the Waterloo Region.c) Joining with eight regional organizations, the CCAWR advocated for all groups in presenting an appeal for justice to the Waterloo Region Police Force in regards to the 2001 murder of Joel Munroe, a 20-year-old Caribbean Canadian. Justice did appear to have been done. It has enriched the social and cultural life of the community, producing many Broadway Musial productions – Once On This Island, Ain’t Misbehavin’, Bubbling Brown Sugar and A Woman Called Truth … to name a few. 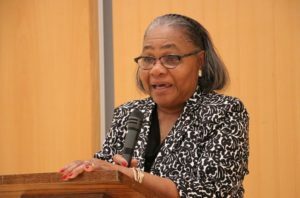 It has also sponsored bus trips to Chatham Township to visit Uncle Tom’s Cabin and to Toronto to see such productions as The Color Purple and Lion King. It has produced leaders of excellent calibre. Two such 21st century butterflies? 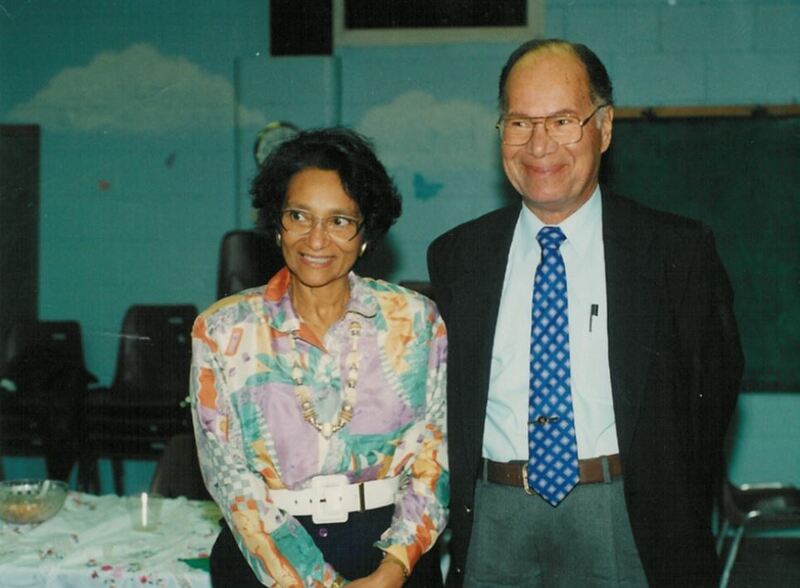 Lauris DaCosta (President, 2000-2009) and Ingrid Berkley Brown (President, 2012 – 2014). As we move towards the close of the second decade of the 21st century, it is with the recognition that we stand on the shoulders of giants and visionaries of the past. We acknowledge and are grateful for the foundation they laid. However, we are fully cognizant of the fact that the needs and times have changed and so, even as the butterfly changes and adopts to each phase of its metamorphic cycle, so must we. So, we move forward boldly and purposefully, charting new paths and addressing current needs, recognizing that we too are writing the history of our organization. And so we continue on……to be blazing butterflies!! (Partly extracted from a speech given by Vincent A. Smith in celebration of CCAWR’s 40th Anniversary in April 2015).